In medium bowl, stir together pie filling, cornstarch, lemon juice and lemon peel. Spoon into frozen crust. In small bowl, mix Streusel ingredients with fork until crumbly; sprinkle over filling. Fruit pies tend to bubble over when baking, but the cookie sheet helps to catch any drips. For a nutty crunch, add chopped pecans or almonds to the streusel mixture. Pie can be made a day ahead. 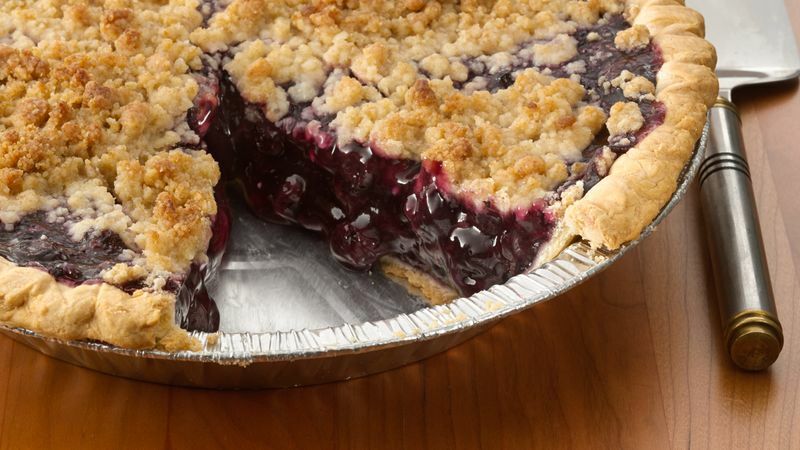 To ease removing pie slice from pan, refrigerate a few hours before serving.